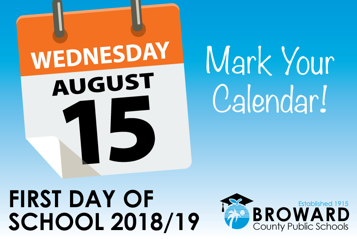 The first day of school for the 2018/19 school year is Wednesday, August 15, 2018. Before attending school in Florida, each child must be immunized. View information on school entry requirements now. 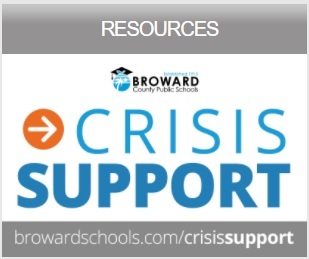 Crisis Support. For more information please click here.